Alan Dean Foster first put me on the path to Antarctica. 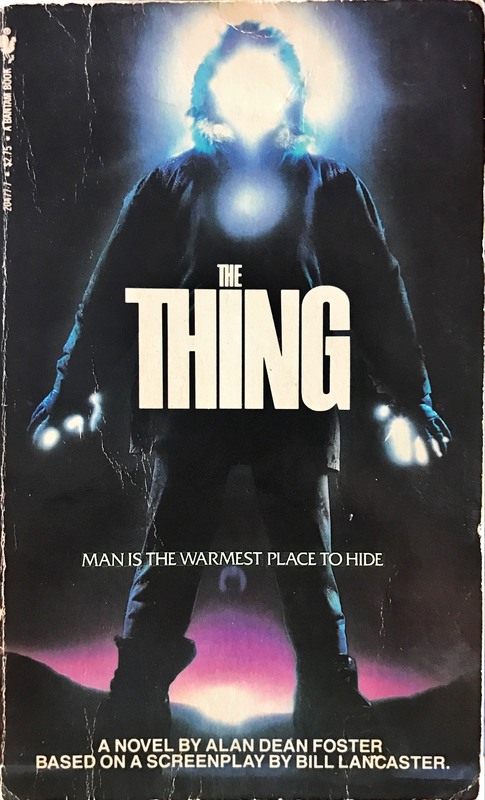 His 1982 novelisation of The Thing captured my imagination with its vivid descriptions of the “worst desert on Earth”, and of course I wanted to go there. Immediately. Thirty-five years would pass before that dream became a reality. 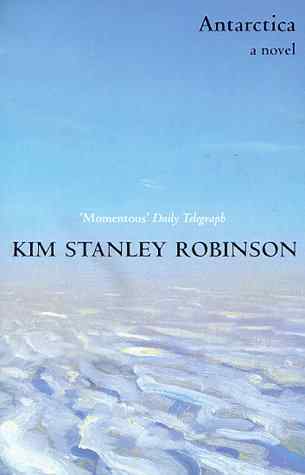 In 1995, author Kim Stanley Robinson told me about the Australian Antarctic Division’s Arts Fellowship, which delivers one or more artists to the ice, there to be inspired by everything they experience. My first book had just been published. It didn’t seem impossible that I might be one of those lucky few. When I applied in 1998, with two more books under my belt, I was shortlisted but didn’t get through. Nineteen years remained before I would achieve my goal. In those nineteen years, I got on with life, publishing over forty novels for children, adults, and young adults, split evenly between science fiction and fantasy. 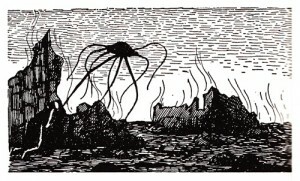 I imagined worlds far stranger than anything humans have yet encountered. At the back of my mind, the dream remained–of following in the footsteps of explorers like Mawson, Amundsen and Wilkins in order to stand on blue ice and see the aurora australis. But a dream it remained. I hadn’t even come close. I had no conscious memory of even seeing snow, born as I was in the dry, flat lands of South Australia–and this lay at the heart of one of my few reservations: until you really experience that kind of cold, how can you anticipate your reactions when dropped suddenly into it? What if I achieved my dream, and hated it? A freak snowfall in Hobart two years ago strengthened my resolve to try again. Turned out I loved the cold, and time was ticking. I don’t believe in bucket lists, but I do know all about regret. This wasn’t something I wanted hanging around my neck on my deathbed. So I applied a second time and this time was selected. I went. I went to Antarctica. (That’s one of the most satisfying phrases I’ve ever written.) Could I be more fortunate? No. Is it easy to capture what happened and what it means to me? No again. Will I try? The plan was to blog every day. That aim fell at the first hurdle. 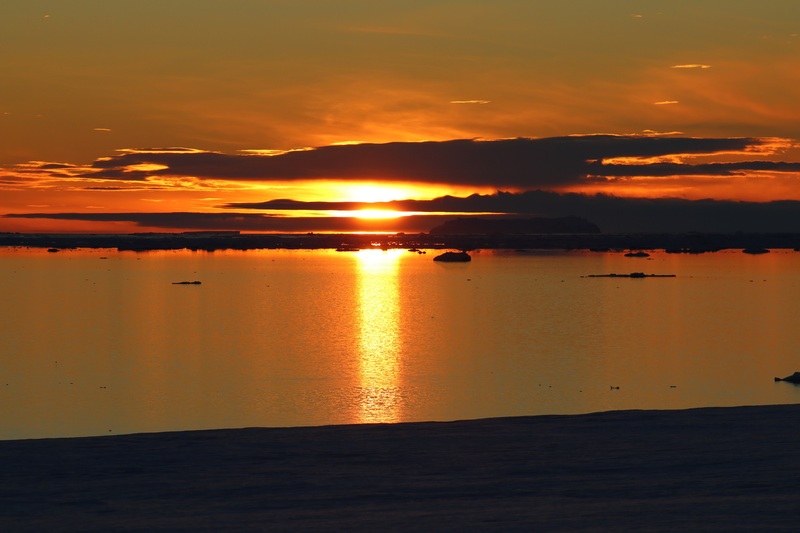 Internet bandwidth is a precious thing in Antarctica, and when a station is full there’s never enough to go around. More about that later. I raise it now only to explain that this account isn’t as raw as I intended it to be. (Readers of my diary for the sleep deprivation experiment “The Subjects” will understand what that might have looked like.) Time has passed, and the memories have percolated, filtered, and dripped into espresso cup-like anecdotes that I am already trying to second guess in order to keep the original experiences as fresh as possible. Sometimes, as you might imagine, that’s as hard as turning coffee back into beans. 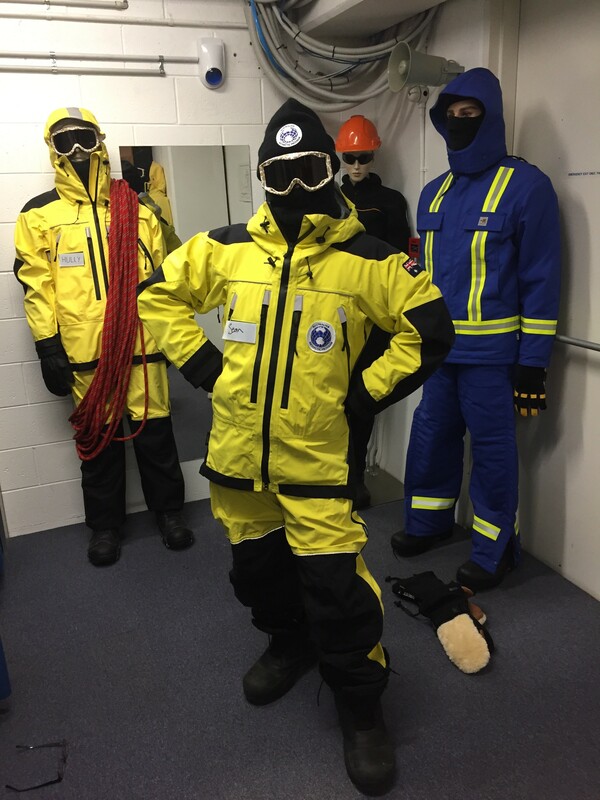 Let me also at this point express my gratitude to the Australian Antarctic Division and everyone who works there for making this dream a reality. They’ve been so generous and thoughtful, both at Casey research station and in Kingston. I’ve learned so much from them, and I hope I can convey how thankful I am for the experiences and knowledge they’ve shared. Any errors or infelicities are mine. Testing out the duds that will keep me alive. 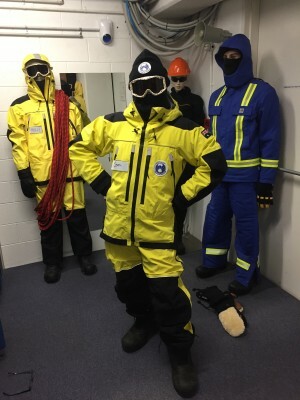 The Australian Antarctic Division is based in Kingston, Tasmania, and it’s there my journey really began, with a tour of offices and laboratories, plus a flight briefing, being kitted out with the gear I needed to survive the cold, and chatting with a bunch of people about what the AAD does, where it does it, and why. It’s a huge endeavour, employing hundreds of people. Administrators. Publicists. Tradies. Scientists. Librarians. Oh, I have to tell you about the library. 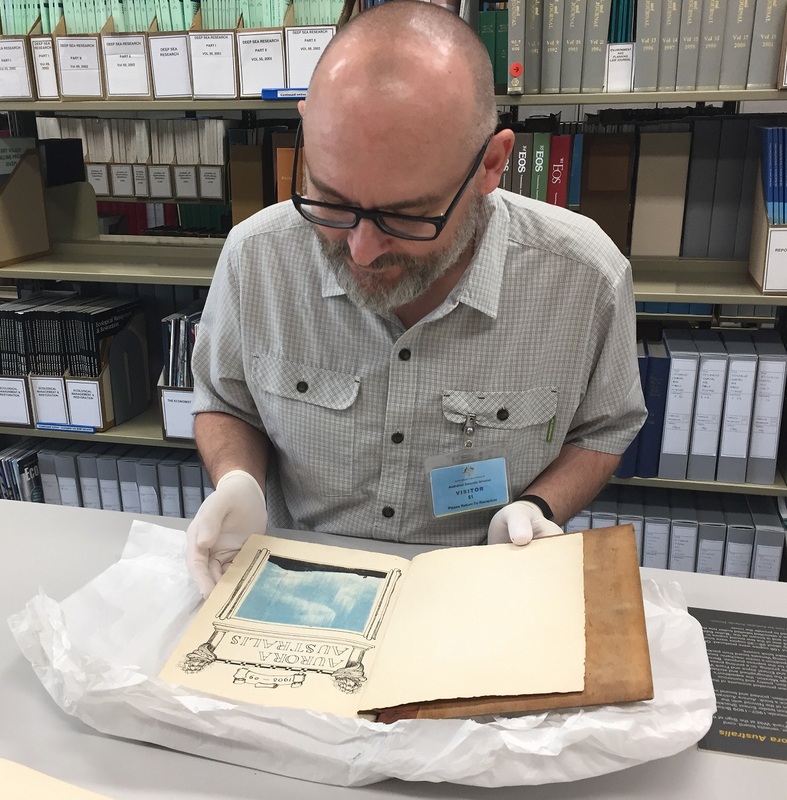 Among the many wonderful books it contains is a rare copy of Aurora Australis, the first and only book ever printed in Antarctica. Edited by Shackleton on the Nimrod Expedition and containing lithographs and etchings by George Marston, a science fiction story by Douglas Mawson, and much more, it was bound into covers made from the supply boxes brought by the expedition to Antarctica. This was a “butter” edition, so-called because that’s that what its particular box used to contain. I got to hold it. Anyway, other highlights included a tour of the live krill tanks (the only ones in the world where krill live longer than a few days) and presenting a lecture in the Hurley Theatrette that I planned to give down in Casey, following the tradition of past expeditioners who whiled away the long winters by sharing each other’s knowledge and experience. This all helped put what was to come into its proper context: I wasn’t going down there just to see snow, after all. I had something much larger in mind. Aurora Australis and I share a special moment. Taking its title from a 105-year-old quote from Douglas Mawson that compares Antarctica to Mars, Lone Soul Standing is the project I’ve been researching for some time now, not just from home, but also in Canberra, where I was Eminent Writer in Residence last September. A political thriller set some years after the Great War with the Martians (as in H. G. Wells. ), it takes place during a delayed Discovery Expedition, with Shackleton, Scott and Mawson heading south together, as they never did in the real world. This alternate history pits the three against an alien survivor of the war, who has been eking out a living in the closest environment on Earth to Mars. With two failing empires at risk of going to war a second time, it’s up to young Mawson, representative of brand new nation Australia, to save the day. One of Edward Gorey’s illustrations to the 1960 edition of The War of the Worlds. Something like that, anyway. It’s a work in progress. Charlie Stross suggests I call it Mawson’s Martian, so not even the title is fixed. But that’s why I was heading south: to soak up the landscape, meet the people who work there, get a sense of what it’s like to exist in this amazing place. “If I have learned one thing from my years’ writing, it’s that there’s no substitute for personal experience. Obviously some places can’t be visited–outer space, for instance, or a different time period–but the closer I can come to a related, concrete sensory impression, the better I can capture the authentic experience in the finished work. “I wouldn’t argue that visiting the Kennedy Space Centre, say, or present-day New York is a substitute for reading books and interviews or watching documentaries on a particular subject. I would, however, say that my novels that are grounded in places I know best are the novels that have elicited the strongest response from my readers. The idea that anyone could be deprived at Casey station became a bit of a running joke, as the week progressed. (Photos of various feasts to come.) But the plan was sound, and it had got me this far. I was as ready as I would ever be. 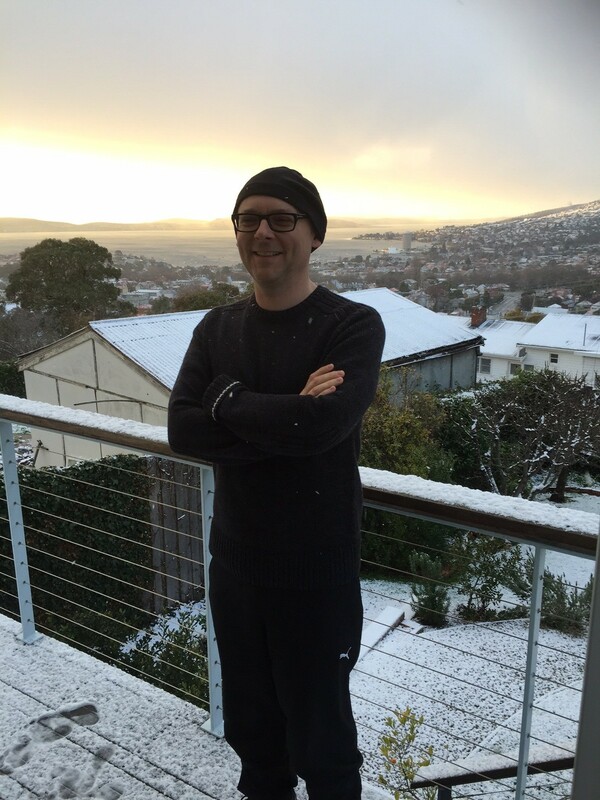 I had a mountain of gear to protect me from the cold, which when donned made me feel like I was wearing a spacesuit. I had met a couple of people, so I wouldn’t be diving into a complete social void. I knew what I could and couldn’t take (particularly types of luggage; no unprocessed food; etc). I had my niece’s super-duper camera. Finally, after 35 long years of dreaming I was ready to go. THANKS TO: Jill Brown, Eliza Grey, and everyone in AAD’s Corporate Communications department; David Pinch, Robb Clifton, Tess Egan, Dr Dirk Welsford, Charlton Clark; Emma McEwin, Anthony Eaton, John Long, Jessica Sopp, Brad Hanna, Craig Cormick, Amanda Nettelbeck, John Harwood, and Robin Haines. For other blog posts in this series, click here. Great blog Sean – I can’t wait for the next episode. Don’t underestimate the relevance of slushie duty! Thought you’d be glad to hear that we currently have the Norwegian Antarctic Aviation manager visiting – the analogies with The Thing just keep happening! Looking forward to reading more about your adventures, Sean. Thanks, Val. Lots more to come. Thanks for sharing the experience. I’m especially envious of seeing the Aurora Australis book! Wonderful! And I LOVE the idea for your own new book. Your title is best, by the way. Oh, and because I’m proudly OCD – Nimrod Exhibition – presume you mean Expedition! Oh well. Enjoy, enjoy. I’ll get there myself one day. They do employ divers at Casey, and none to my knowledge have been eaten.